As a teacher, you know that it is important for new readers to read books that are at a level that provides just enough challenge and not too much frustration. VocabularySpellingCity notes three popular reading level measurements for each book on the 2nd grade literature list. Knowing the reading levels of the books helps you match word lists to your grade two curriculum. In second grade, the number of words students can read is quickly catching up to the words they can speak and understand. Nevertheless, audio supports such as audible sentence cues help readers learn to read new words quickly, and our printable and online activities for 2nd graders help students want to learn. Spelling is an integral part of learning how to read, students benefit greatly from incorporating spelling into beginning reading instruction. Easily incorporate spelling into your reading instruction by importing your word lists or pairing a ready-made second grade spelling list with over 35 learning games and activities. VocabularySpellingCity provides literature lists for read-aloud chapter books to help students expand their vocabulary and their interest in literature. When used in conjunction with simpler, beginning reader books, students can continue to build their aural vocabulary as they build a reading vocabulary. Reading a classic book like Pippi Longstocking and using VocabularySpellingCity’s Pippi Longstocking word list allows students to learn juicy vocabulary like “malicious,” “plunge,” and “adventure.” Then students can practice their new vocabulary with online games, 2nd grade vocabulary activities, and grade two printable reading worksheets. 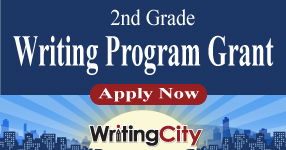 VocabularySpellingCity’s literature word lists for second grade include independent reading selections, read-aloud selections and poetry from the Common Core State Standards literature list. Using these books, students learn skills that help them meet the requirements for both the literature standards and the vocabulary acquisition and use standards, such as language standard 2.6. “Use words and phrases acquired through conversations, reading and being read to, and responding to texts, including using adjectives and adverbs to describe (e.g., When other kids are happy that makes me happy).” VocabularySpellingCity can help your students practice reading, learn new vocabulary, and meet the Common Core State Standards in an engaging, fun way. The following games are recommended for 2nd Grade Reading Vocabulary Lists. Word Study gives students the opportunity to explore spelling, syllables, sounds, and context, including definitions and parts of speech. Play Word Study with a 2nd grade Reading list. Sentence Writing Practice allows students to create and type in a sentence for each one of their spelling or vocabulary words. Play Sentence Writing Practice with a 2nd grade Reading list. Sentence Unscramble provides practice unscrambling words to form sentences. Play Sentence Unscramble with a 2nd grade Reading list.